If it was up to your kitty they would ignore any ailments that cropped up in the hope they will simply go away. Luckily they have a loving parent (you) to keep an eye on them and book them in for routine check-ups. 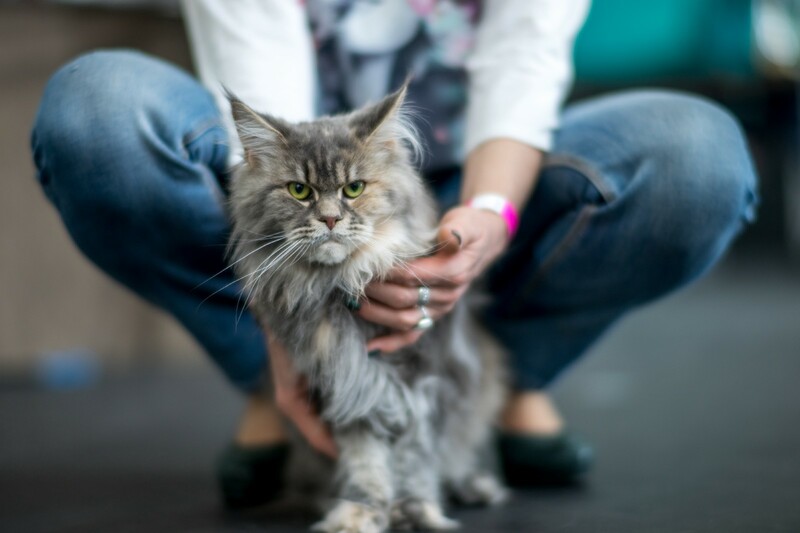 Our veterinary expert, Dr. Alexandra Beck, shares some top tips to help you make your cat’s (and your own) veterinary experience as pleasurable as possible. Why does my cat get so unhappy when I take them to the vet? 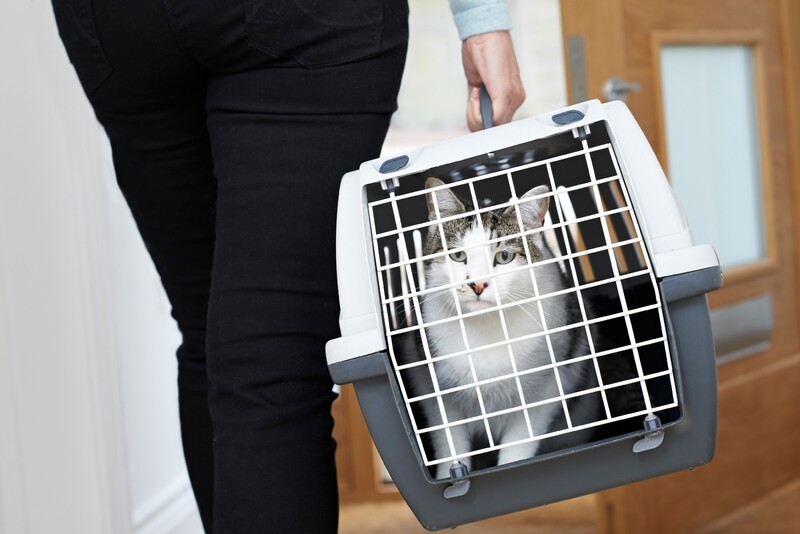 By choice, your feline would never leave the comfort of their home — certainly not if the expedition involved a loud mode of transportation, a caged carrier and a prod and a poke. Many unusual things occur when the vet appointment rears its ugly head; being put into a carrier, having to travel in the car, being exposed to new smells and sounds — and that’s before they even get there! Unfortunately for them, an annual visit (at least) is essential. Unfortunately for you, it’s your job to make the experience a reasonably enjoyable one. To help your feline view the occasional check up as a perfectly normal event, it’s better to expose them from a very young age. Such visits are critical for the rest of their life: if perceived as a positive experience (with the cat being handled in a friendly way), this will make every visit after much easier! My cat struggles when I try and put them in the carrier. Do you have any tips? Just like us, your kitty is quick to remember details of any unpleasant experiences they may have encountered. 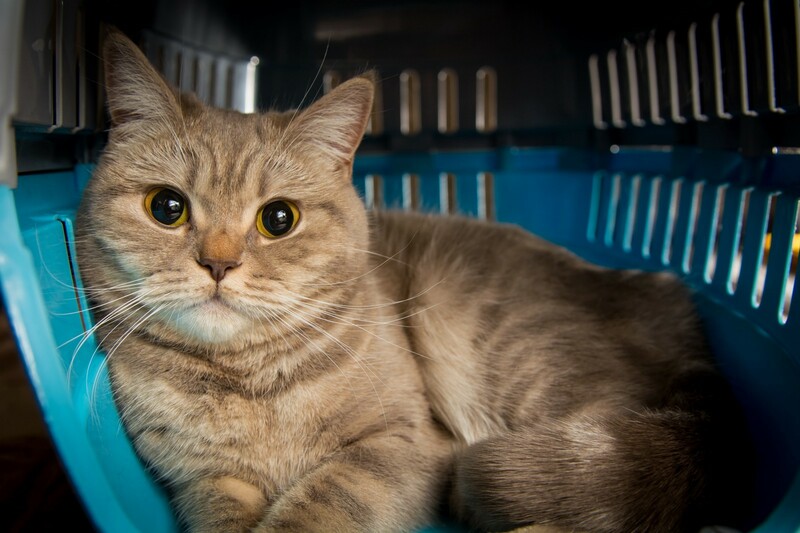 They will therefore be much less likely to willingly go into their cat carrier if it has been previously tainted with a visit to the vet clinic or cattery. 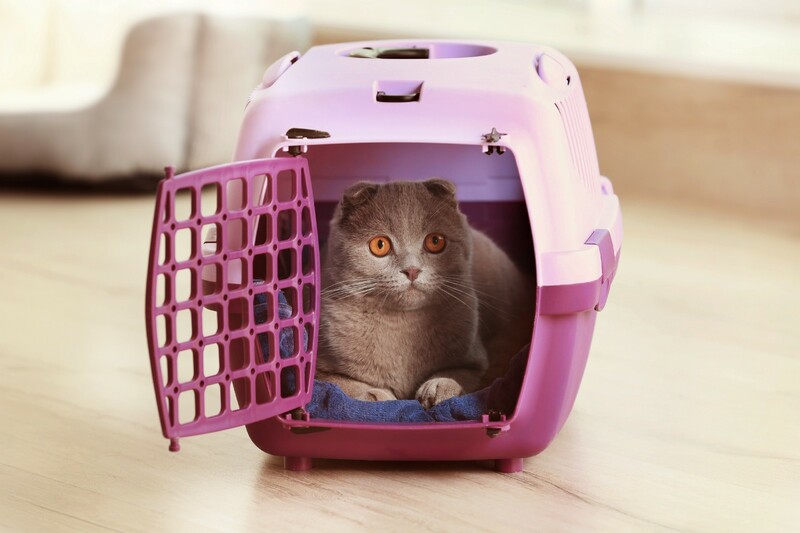 The trick is to get them to see the carrier as part of their everyday furniture — just another cosy hideout which makes them feel safe and secure when curled up inside — before they associate it with their routine check up. This can be achieved by leaving the travel carrier out around your home, open and available to your cat at all times. You can also use cosy blankets, tasty food and treats to encourage positive interaction with it. Over time they will no longer see the carrier as a strange object and instead view it as one of their daily essentials. This will make it much easier to entice them into it when needed! Travelling in the car with my cat is a nightmare. What can I do to help them feel more comfortable? You’d be hard pushed to find a feline that jumped at the chance of going on a road trip. But this doesn’t mean car journeys have to be an ongoing battle between you and your kitty — there are things you can do to help make it a smooth operation. Start off by not feeding them for at least 6 hours before travelling. If your kitty is prone to car sickness, having an empty stomach will help stop them from feeling poorly and ensure they’re well prepared for their appointment. Next, focus on their travel carrier. Avoid subjecting your kitty to a 20 minute rollercoaster ride by making sure their carrier is secured firmly in the car. Cover the carrier with a towel or large blanket to stop them from worrying about the strange sights and help prevent motion sickness. Finally, add a comfy, familiar smelling blanket or towel inside (bring a spare in case of any ‘accidents’) with a spritz of FELIWAY Classic on it. The ‘happy messages” in FELIWAY CLASSIC will help them feel calm during the journey and when they arrive at the clinic. Getting your cat from point A (the car) to point B (the consultation room) needs to be a first class experience for your cat. The walk in should feel smooth and seamless, not like a rapid ride. Be sure to hold the carrier carefully and avoid banging it against objects or your legs. When in the clinic check if there’s a first class lounge area (specifically for cats) differentiated from their nemesis, the dog. Once seated, give them ultimate privacy at all times. The less they can see, or be seen, the better. Choose a quiet spot and keep the carrier covered. Try to reassure them with a quiet voice, but do not open the carrier to take them out: the safest place for them while waiting is inside their private carrier! Are there any other tips for helping my cat during their visit to the vet? We all had a favourite doctor when we were younger — one that made visits slightly more bearable because of their friendly manner, understanding tones and a well deserved lollipop at the end. Your feline is no different. If they are treated by a vet who is considerate of their natural needs, they are unlikely to find the experience quite so unsettling. 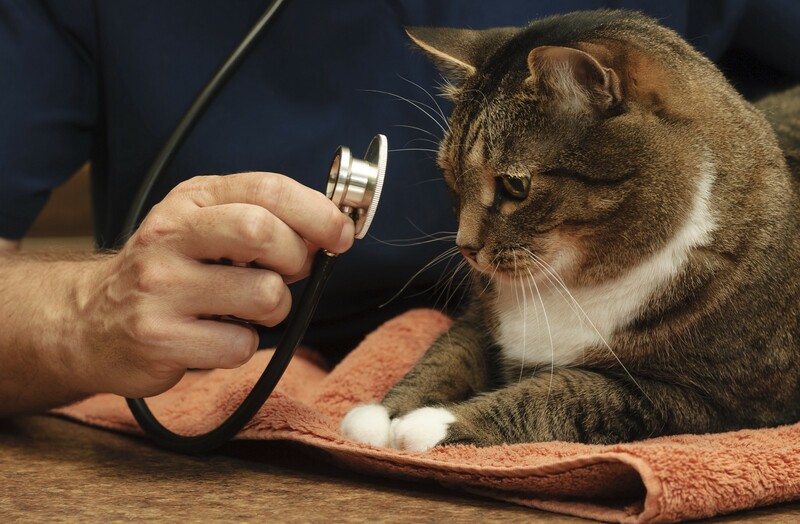 Finding a good vet should therefore be a high priority for any cat owner. Luckily, International Cat Care have done the hard work for you. The IIC have created a list of Cat Friendly Clinics — veterinary practices that meet their high expectations. Requirements for accreditation include excellent space organisation, equipment and staff handling procedures. FELIWAY is a clinically proven and vet recommended product that is also a great option for helping to calm your cat in stressful situations like travel and vet visits. To find out more about how FELIWAY can help, please click below.